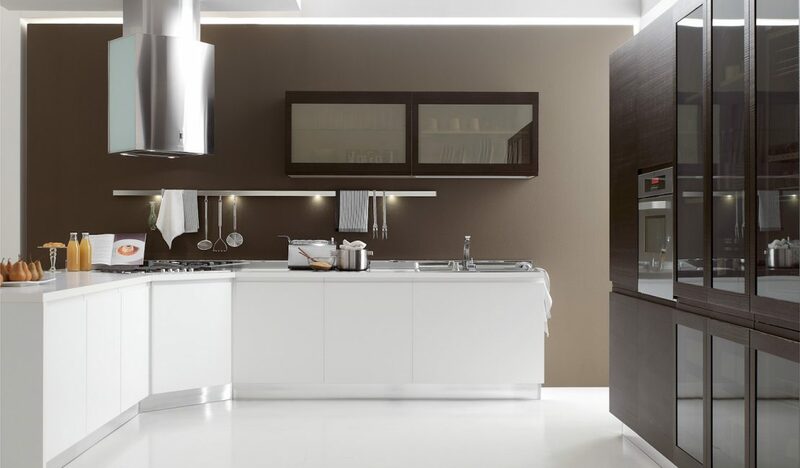 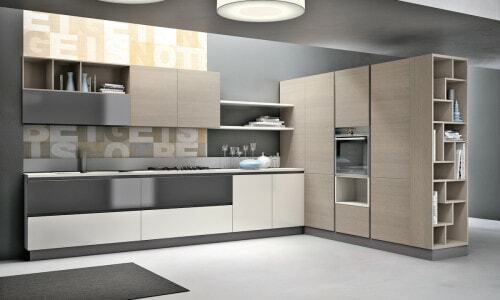 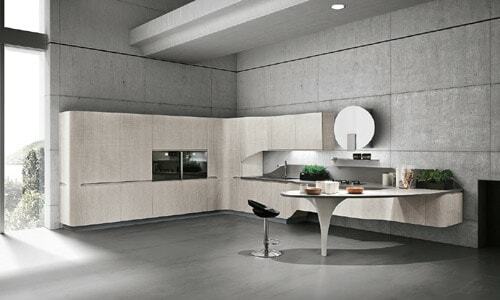 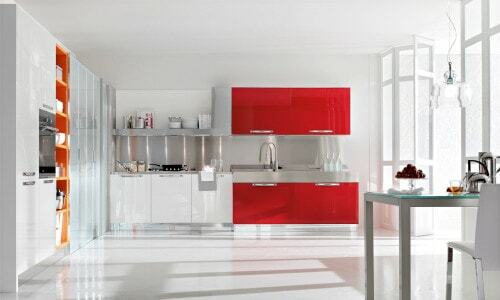 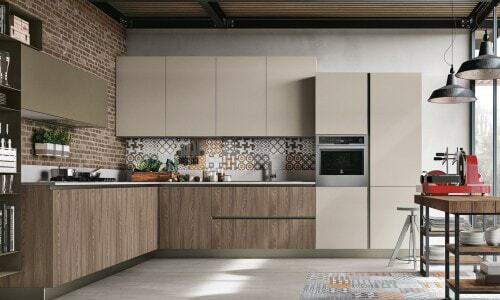 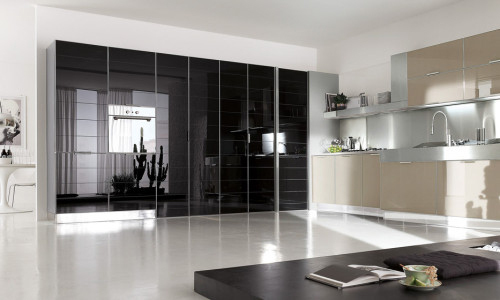 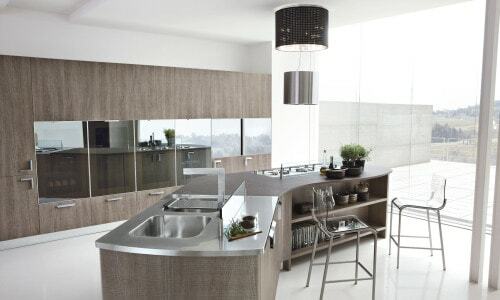 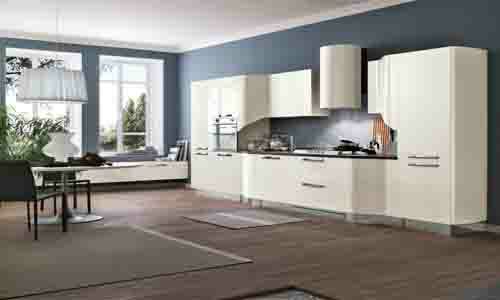 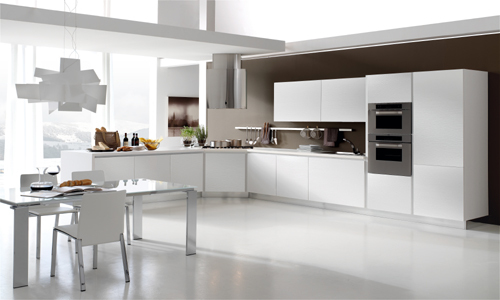 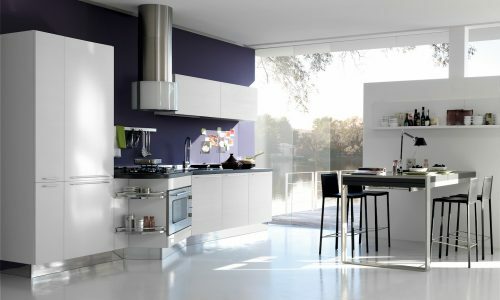 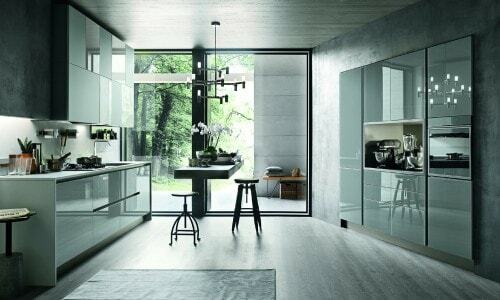 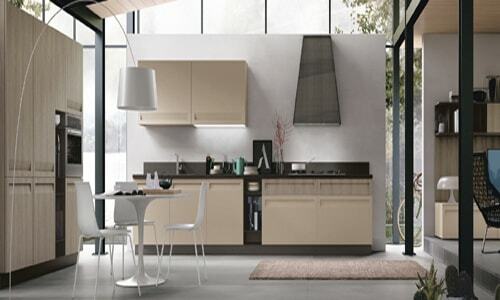 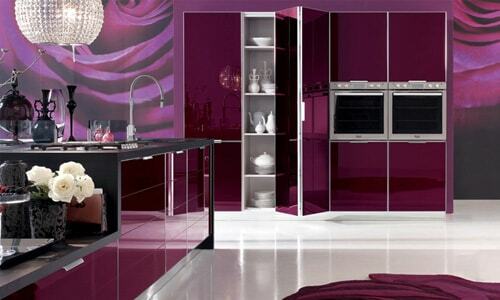 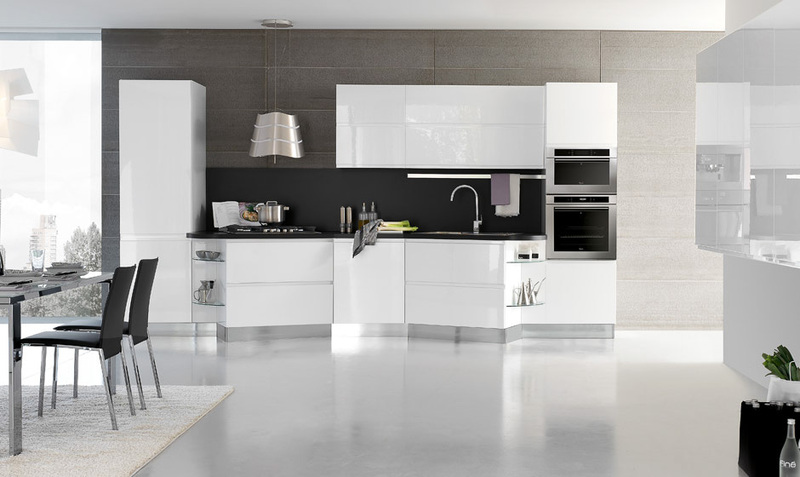 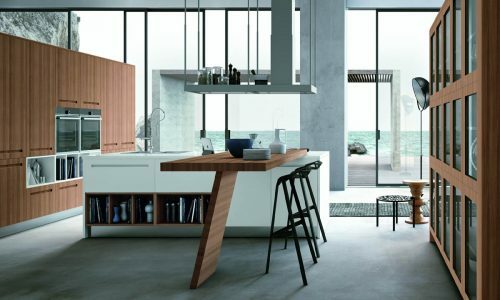 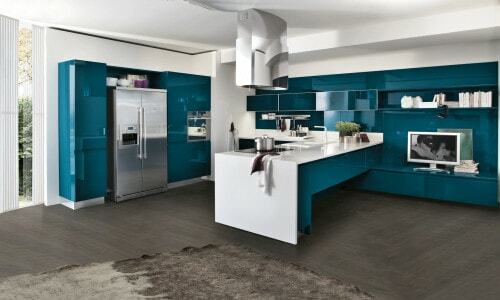 Modern Kitchen Bring- Available to those about to choose a kitchen. 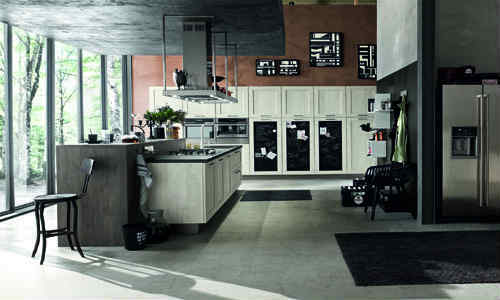 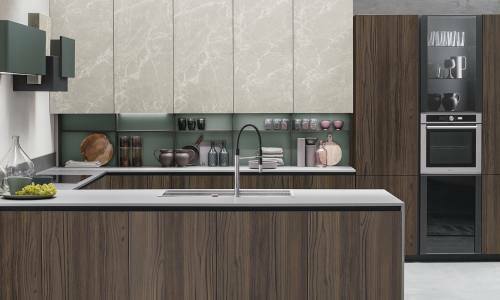 Four new finishes in laminate, to satisfy more traditional tastes as well as less conventional aesthetic inclinations. 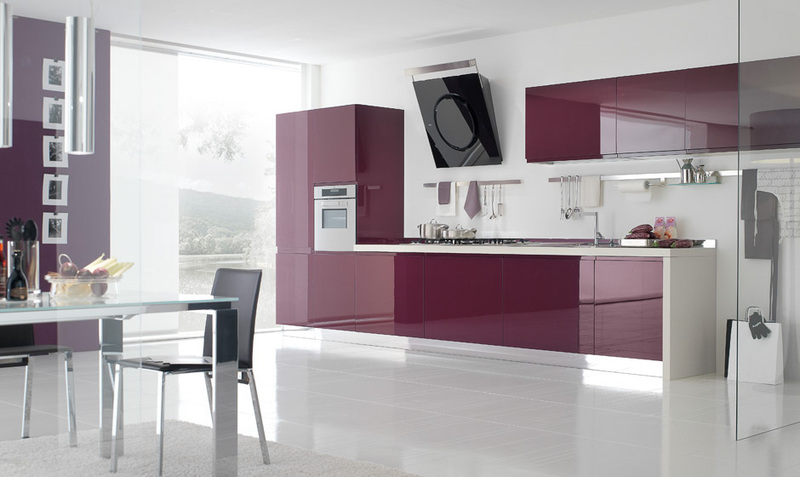 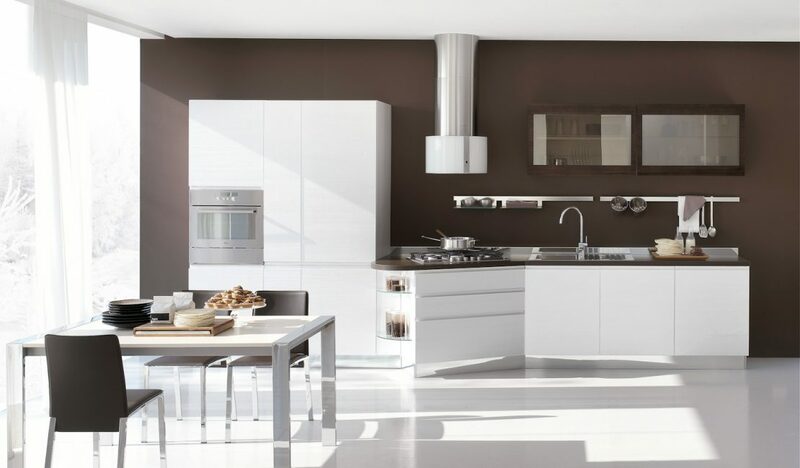 Completing the range is a series of particularly rich gloss and matt colours many of which are treated in order to obtain a colour effect in line with the very latest trends. 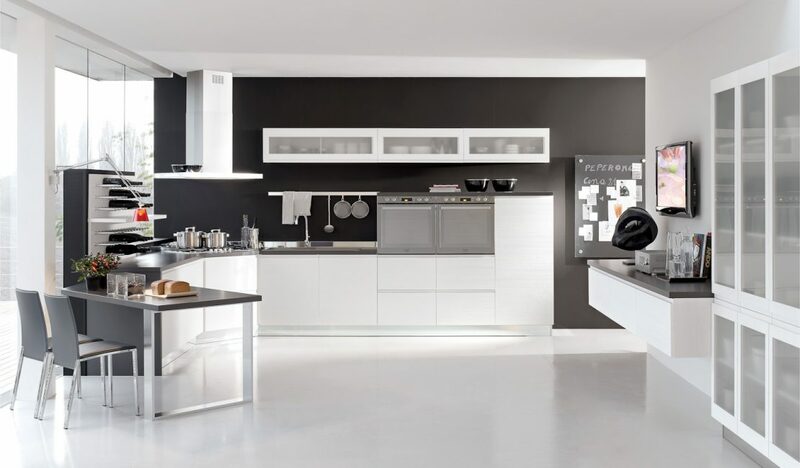 The drawers open fully to show all their contents, while the wide range of accessories allows optimisation of the space, ensuring rationality in work activities since all the items and utensils are always at the right height. 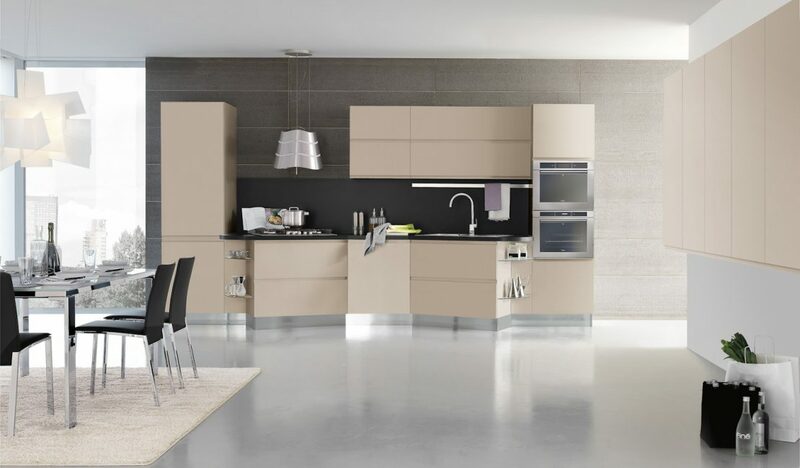 To ensure perfect orderliness, each kitchen has many accessories plus handy racks in the roomy storage column units and drawers. 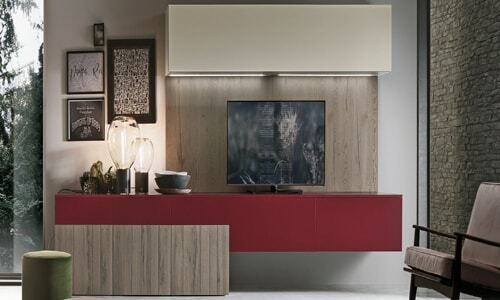 The door with frame in kino moro yellow pine finish with frosted glass further enhances it. 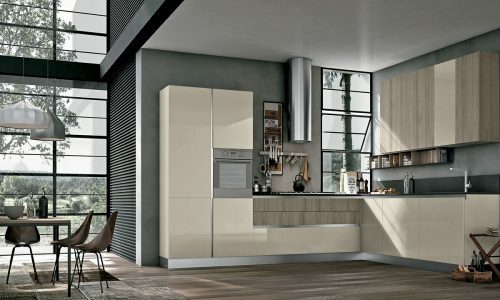 Roomy and well-equipped storage units and drawers. 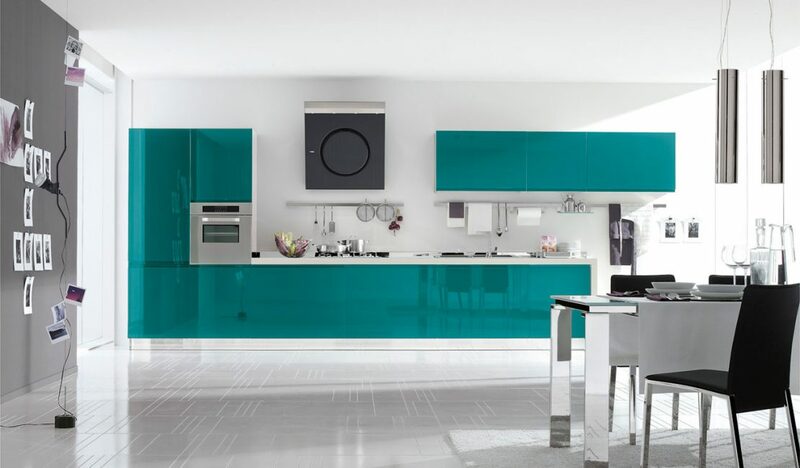 Bring’s charm is seen not just in the refined design, but also in the choice of materials, like the drawer bottoms in toughened glass. 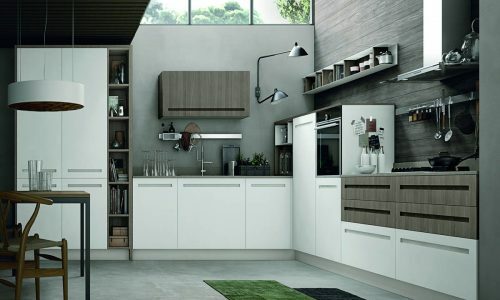 More space, without forgoing essential and contemporary lines: the faultless design conceals numerous solutions, so that every utensil is in the handiest place. 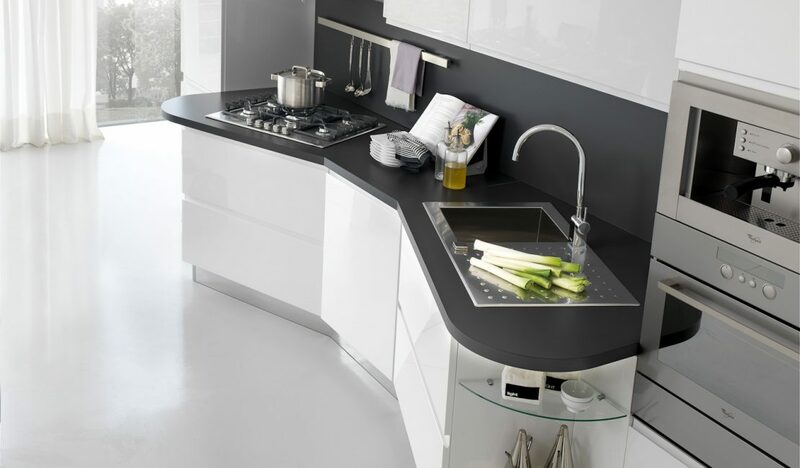 Large drawers and containers are ideal for keeping pots and dishes, whereas the flap door enables quick opening and closing, and the pullout column unit proves to be indispensable for holding bottles and bulky things.